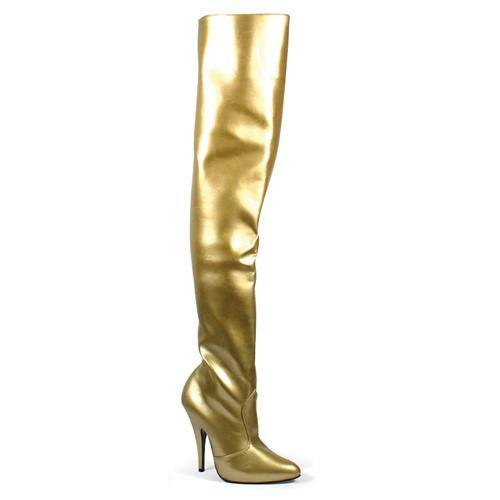 Thigh high boot with a 5" heel (13 cm), and a side zipper. In stock for immediate delivery is EU size 37 in black PU. The regular price of these boots was euro 89.95.